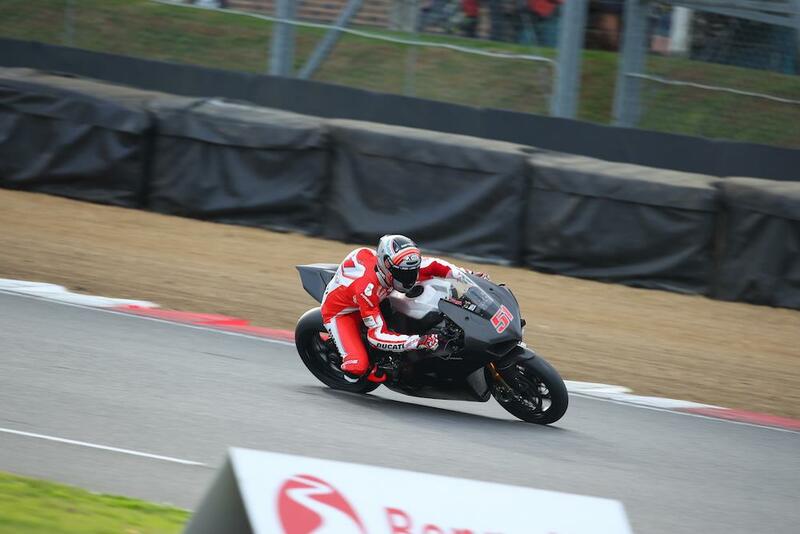 Ducati’s V4-R made its debut in race-spec at this weekend’s Bennetts British Superbikes finale at Brands Hatch, where MotoGP test rider Michele Pirro completed a number of demo laps on Saturday. It is the first time the V4-R has appeared in public before the production model will be unveiled at EICMA next month. This version, the V4-RS, was in full World Superbike-spec with Magnetti Marelli electronics and race fairings. 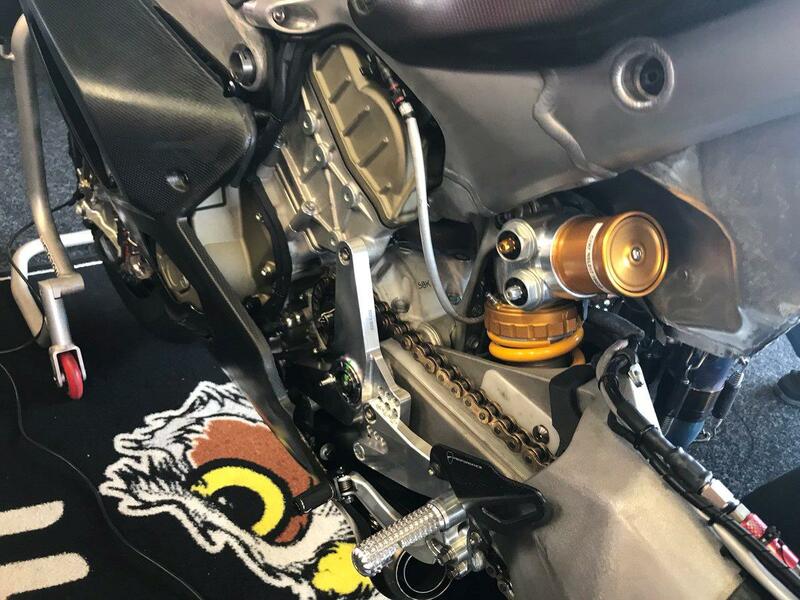 The machine features a 1000cc engine as opposed to the 1103cc version in Ducati’s current road-going V4 as to comply with superbike regulations. 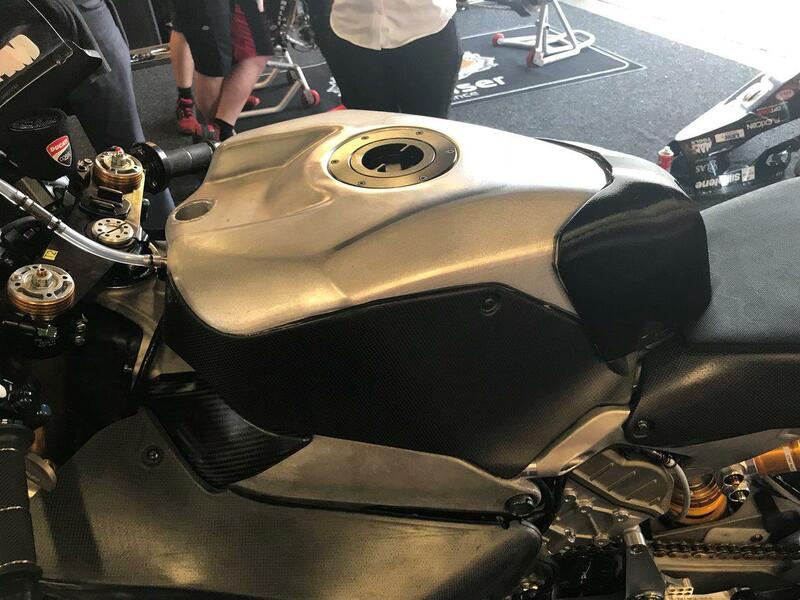 While Ducati engineers were coy about details, the machine featured a dry clutch and a large fairing understood to be similar dimensions to the Desmosedici GP bike, but that’s not where the similarities end, states Ducati test rider Michele Pirro who has been developing the bike over the last year alongside Lorenzo Zanetti. 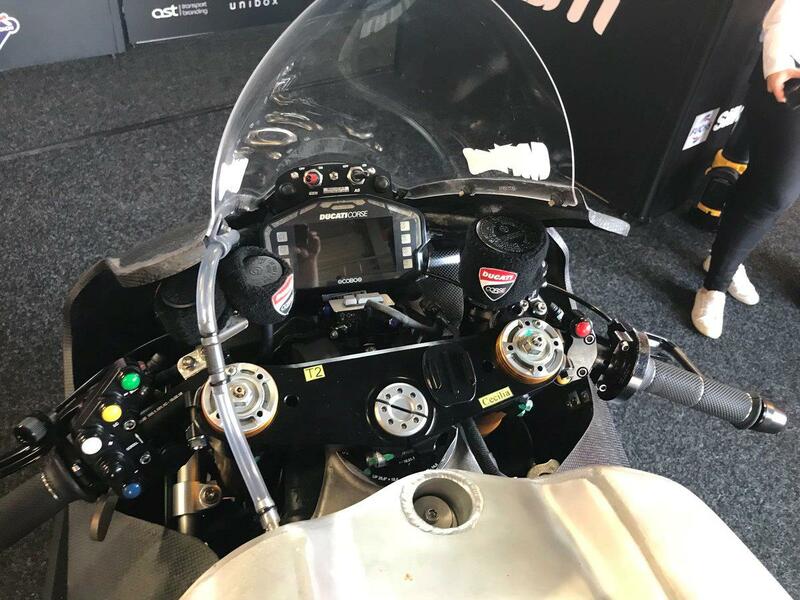 “The concept of this bike is very close to the MotoGP bike,” he told MCN. “The engine is very similar. I have tested this bike for some time because I know the MotoGP bike very well. I think the potential is very high, everything about it is an improvement on the V-Twin. “It hasn’t been easy, this is a very new project and we have only tested on three or four tracks. It’s important to use the bike at more tracks than that, but the potential is very high and I think it will be battling at the front immediately. 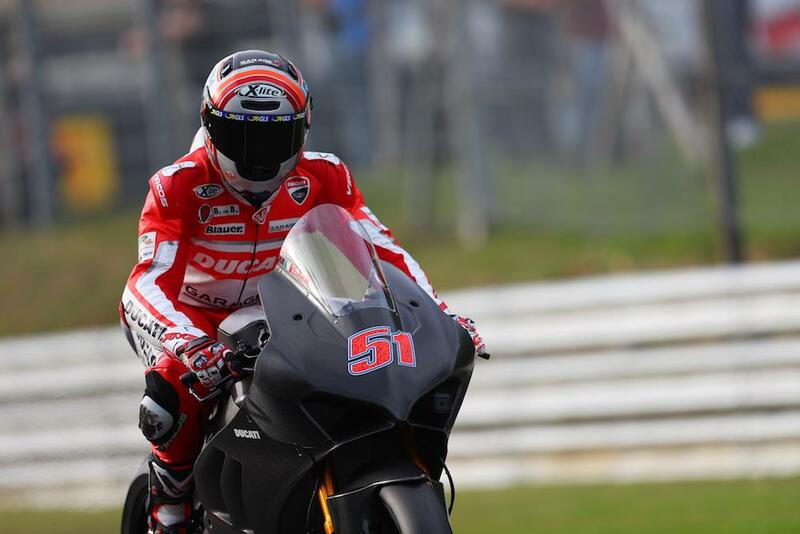 “The characteristic of the engine is very similar to the MotoGP bike, the MotoGP bike was the base for the engine. The front frame is also a lot stronger than the V-Twin. The V-Twin is a very good bike, but it is impossible to battle with the Japanese bikes for the title in World Superbike. However, with this V4 it is more than possible to battle for the championship. 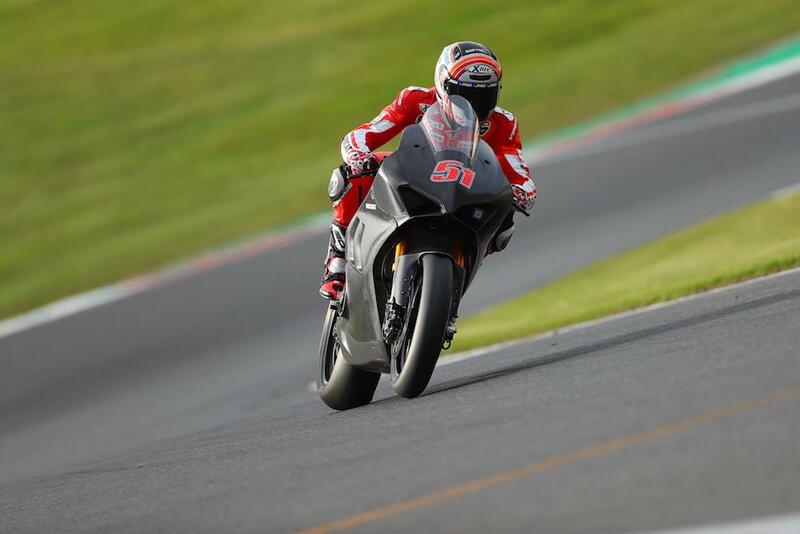 Chaz Davies will get his first test of the V4-RS at a test in Aragon next month with team-mate Alvaro Bautista getting his first outing two weeks after in Jerez once the MotoGP season is finished. 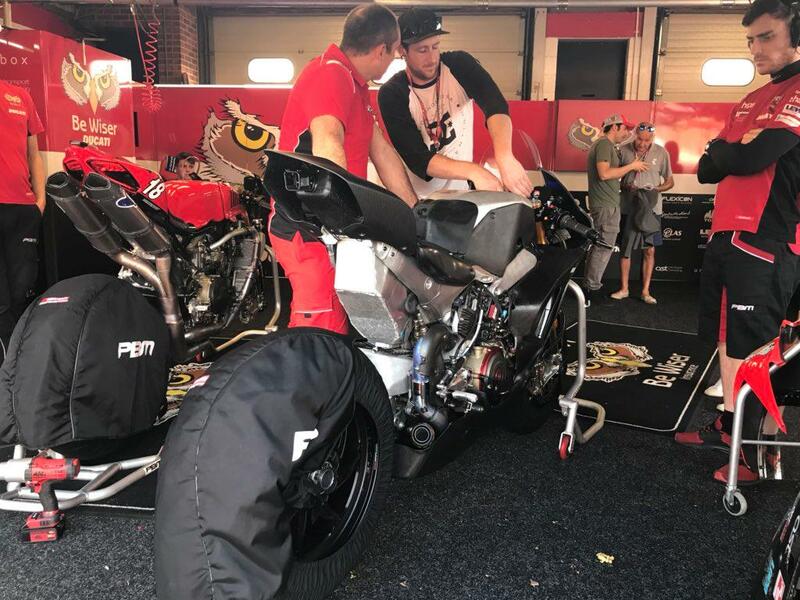 BSB’s Be Wiser Ducati riders, Josh Brookes and Scott Redding, will get their experience of the bike at Jerez at the end of November.